A new vote would violate rules of procedure and risk new international outcry. But some lawmakers want to do it so badly they're bursting into song — literally. Anti-LGBT activist Martin Ssempa speaks to the court room before Friday's ruling striking down the Anti-Homosexuality Act. 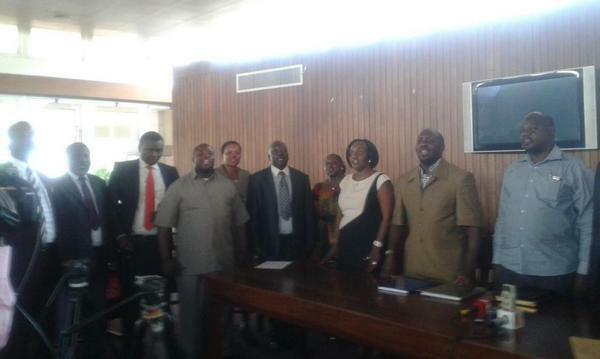 A group of Ugandan MPs held a press conference on Tuesday announcing they were collecting signatures for a vote to be held within three days to restore the Anti-Homosexuality Act. A new vote by parliament could undo a ruling by Uganda's Constitutional Court on Friday that invalidated the law. The original act was passed in December and imposed up to a lifetime prison sentence for homosexuality and criminalized the promotion of LGBT rights. The court ruled that parliament had broken Ugandan law when it voted on the bill without having the one-third of members present needed to constitute a quorum to pass legislation. A group of MPs led by Latif Sebagala said the petition for a re-vote had already collected 100 signatures from MPs. He said that by Friday he believed he would have signatures from a majority of parliament, according to coverage by the Ugandan government transparency website Parliament Watch. Mp Sebagala : We have so far collected 100 signatures and hopefully by Friday we shall have all the signatures we want to pass the #AHA2014. Anti-LGBT MPs apparently burst into song during the press conference. But the law's opponents say parliamentary rules make a quick re-vote impossible. For the Anti-Homosexuality Act to be passed again, lawmakers would have to start the process from scratch. That would mean taking steps, such as a review by a committee and an assessment of the legislation's financial impact from the finance ministry. This step is crucial, because the ministry is under control of President Yoweri Museveni, who has faced harsh criticism from international donors since signing the original legislation in February. If he wants to avoid another confrontation with the U.S., the World Bank, and other donors over the proposal, withholding the financial certification would be a quiet way to kill a new bill. Sebagala is calling for House Speaker Rebecca Kadaga to suspend rules of procedure to allow a quick re-vote. MP Sebagala : We want the speaker to allow us suspend our rules of procedure so we can have the #AHA2014 back and passed in 3 days . But not all of the bill's supporters are enthusiastic about this strategy. In a phone interview, the bill's original sponsor, MP David Bahati, would not directly answer several questions about how soon he wanted to see the bill brought to the floor and whether it should be passed under rules of procedure. Bahati, who is a member of the ruling party's leadership, would not directly say whether he supported Sebagala's petition, and said he did "not want to get into speculation" about parliamentary procedure. "Any bill will pass through the procedure, and by the rules of procedure we will follow them and we will pass it," Bahati said, adding, "We can suspend any of the rules if we think it is important." "Whether it's tomorrow or a week or a month, we will take whatever time is required to make sure that the future of our children is protected, the family is protected, and the sovereignty nation of the protected," Bahati said. "The issues of technicalities is not a big deal to anybody. But the big deal … is that homosexuality is not a human right here in Uganda." Given that the constitutional court struck down the original Anti-Homosexuality Act because parliament did not follow procedure to pass it, it seems likely that a quick vote on new legislation could make it vulnerable to a new court challenge. And Ugandan media quoted one of the opposition MPs, Fox Odoi, as saying he was prepared to make repeated quorum calls during the voting process to frustrate any attempts at quick passage. Getting a quorum to vote on the bill could be even more difficult, he said, because one of the sanctions imposed in June by the U.S. was a visa ban on human rights violators. MPs might be risking losing their ability to travel to the U.S. if they're on record voting for the Anti-Homosexuality Act a second time. 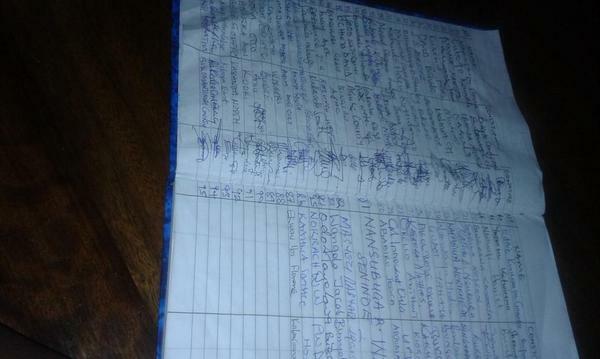 These are reportedly the signatures of the MPs who have signed Sebagala's petition for a quick re-vote.